The X-Pro 1 uses contrast detection autofocus (CDAF) compared to phase detection autofocus that is usually found in DSLR cameras. As I have shown in an earlyer post, I like to photograph at minimum aperture to create a shallow depth of field. And in those situations perfect AF lock is essential for good results. The advantage of contrast detection is, that it is very accurate when it locks onto the target. On my phase detection DSLR camera I have gotten used to pushing the shutter half way for 2-3 times before I trust that the AF locked correctly onto the subject. I don't quite get the joke. With face detection, the shot would have been almost instantly correctly focussed. Furthermore, the 5n in that case changes exposure taking into account correct skin color brightness as it is the major subject. Does the X1 lack this feature or do I misunderstand something here? Chris, the guy who took the picture of me was the owner of a NEX-5n. 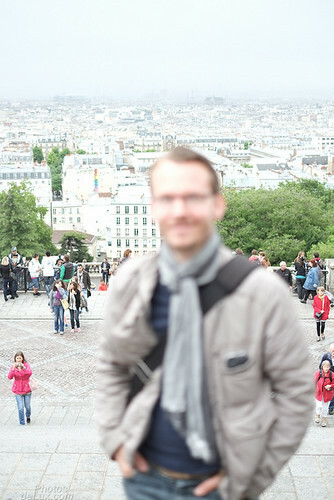 I took a picture of him with his NEX-5n and he took the photo of me with my X-Pro 1 which does not have face detection. You need to focus at your subject with the X-Pro 1 as this camera does not assist you. This is how I learned (analog) photography, but with todays technology, there is a new generation of photographers that let the camera do most of the technical things for them. OK, now I understand :-). I am impressed with the skin color rendition of the female runner. Did you do color correction/WB on this shot or is this straight OOC? Chris, the Fuji X-Cameras have the best in camera AWB I have ever seen in a camera. It seems like they meter especially for skin tones. Now, there are situations in mixed light where even the Fuji will give you incorrect results, but i.e. my Canon 5D MK II is much worse! Those are fantastic tips. I started using my Xpro as a second camera on commissioned work. I last used it for a birthday party in a dark lit room. I've missed a few shots and over all quite happy with results. I love shooting rangefinders and this camera is quite a remarkable addition. I suffer more with color correction. Great tips keep them coming! Thanks so much for this posting. It is one of the best accounts of using this fabulous camera that I have read to date. I am just trying to share my experiences and findings with other photographers. If others can benefit from my tips, they can spend more time photographing and less time doing trial and error. And photography is what it's all about! Thank you so much for these tips. I was not aware of the focus size feature in this camera. I am off to the Busker Festival in Ottawa, Canada. Your tips are appreciated and I plan on using them to the max! Enjoy the Festival and let us know how the tips worked out for you. Thank you for sharing all those tips. 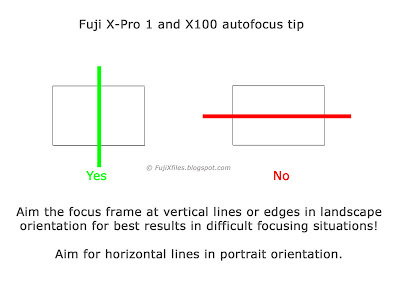 I have found REALLY REALLY USEFULL this one: "you should aid the X-Pro in horizontal orientation (landscape orientation) to find a vertical line ..."
Thank you very much for sharing. Excellent tips! Thx, as a not so experienced photographer, this was very helpful to me! Thanks, do you have any tips for getting a contrasty black & white jpeg? Wonderful article. Very useful to me as an X100 user. Thanks! thank you, excellent Article! makes me like my xpro-1 even more! I have bookmarked this and will refer to it loads so thank you very much! I agree that the camera is a tool worth working with to get best results - also yours are really clearly described tips. Thankyou. Very clearly described tips. I have bookmarked this immediately as i love my x pro 1 and agree that you have to work with the camera. Thankyou very much for such a helpful article. Thank you for this, very much needed. I've been shooting with the X-Pro1 for about 2 months now and when it all comes together it's an amazing camera but auto-focus issues have meant that I've missed as many shots as I've gotten. Going to start practicing with your tips right away! I find the "push the button all the way" technique very unpredictable. You never know how long it will take the XP1 to take the photo. Its kind of try and error instead of a controlled shooting style. More luck than talent I would say. My experience has been different. I get really good and predictable results with this technique. It has worked much better for me in motion situations than AF-C or the half push for focus confirmation and then full push to take the image. Nice article. I've been personnally a very happy user of the X-Pro1 for 2 months and I love it so far. I just wish I could set the Fn button to what the AF button is for, I mean highlighting the Focus Point, so it can then be moved to an area of Focus, using the Arrow buttons. That way, you wouldn't have to use your left hand to press the AF button, which I find hard to do very often, especially for vertical shots. To program the Fn button as AF selector is a very clever idea! Fuji, are you listening? 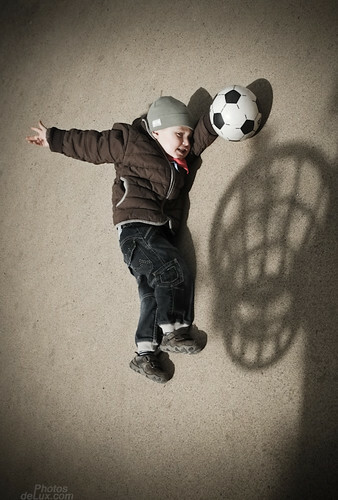 This is a great article, I keep on looking at great pictures from the X-Pro1. I have been looking at the usual options from the 2 big brands and I would be happy with a few of those models but few are as inspiring as the X-Pro1. This AF issue is just scaring a bunch of us away... I would like to get my hands on one to try it out. Question: Have you tried the X-Pro with studio lights or flashes. I would like to have an ability to take portraits and I hope that there is some experience here in regards to lighting with the X-pro1! I have not tried the X-Pro 1 with studio lights yet. The min. flash sync time is "only" 1/180s, so you might have to turn the flashes down, stop aperture down and/or use a ND filter to not blow out the scene. The base ISO of 200 vs. 100 in other cameras is also a small draw back for studio work. But I have seen people getting good results. As for system flash I think that is one of the weak spots in the Fuji line. The EF-20 and EF-X20 are nice and small but only turn up 90° in landscape orientation - not in portrait orientation. The EF-42 does turn both ways but is big and I have heard mixed results with it attached to the X-Pro 1. Does anyone have any experience with lighting with the X-Pro1? Sync to strobes or flashes? 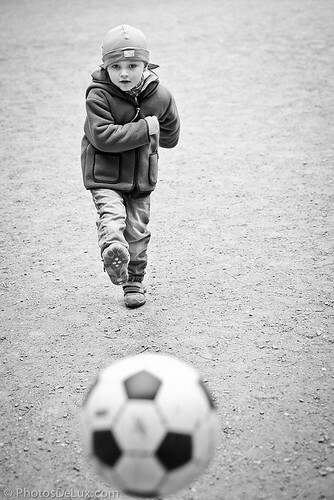 I keep on seeing great photos from the X-Pro1 and I am getting very interested in investing in an X-Pro1 system. This is a great article, settles my concerns re: AF performance quite a bit. Excellent tips! The XPro1 is a camera that brings you back to your roots in photo. From the first days I used this camera as an original SLR, taking a little extra time as it use to be. Focusing on a vertical subject in horizontal pane is the way to go. I do this and never have a problem. I found out by mistake how to frame close subjects using the OVF. When I did the initial setup I turned "corrected AF frame to on". This will provide a green frame (secondary) that indicates the proper parallax correction! I use this frame as you compose and your subject will be in the middle...works great. 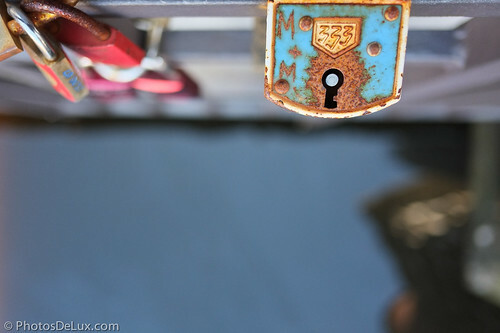 The "jpeg" color engine in the XPro1 is the best I have seen in any camera so far by a great margin! I also agree the AWB in daylight is spot on on skin tones and better than my D300. Overall the IQ that this camera produces is superb. Thanks again for these great tips. do you have any particular settings for getting punchy contrasty b/w jpegs ooc.i used to get great results from the settings on panasonic gf1 but am struggling with finding a good combination on the x-pro 1. amazing camera. Finally an article on how to overcome the AF obstacles of the X-Pro1 instead of more complaining... 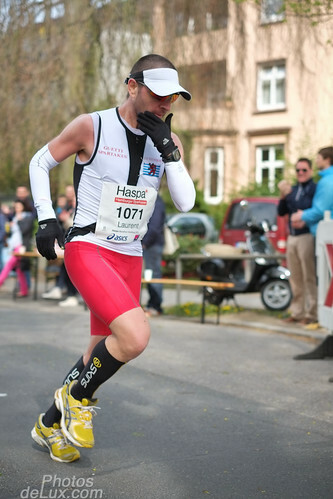 Thanks for sharing your experience. One question. How do the X-Pro1 compare to the X100 in terms of AF accuracy? I never use face detection. Sometimes when you focus on a subject it just wont focus. Specially on faces and dim light. 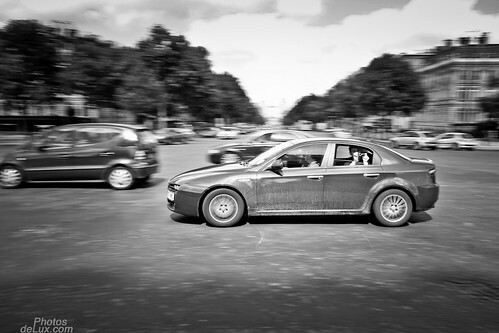 I think that the X-Pro 1 AF is overall a bit mor reliable and faster (with 18mm lens) than the X100. But the new X100s should be even better. Excellent tips. Your experience with this great camera mirrors mine. 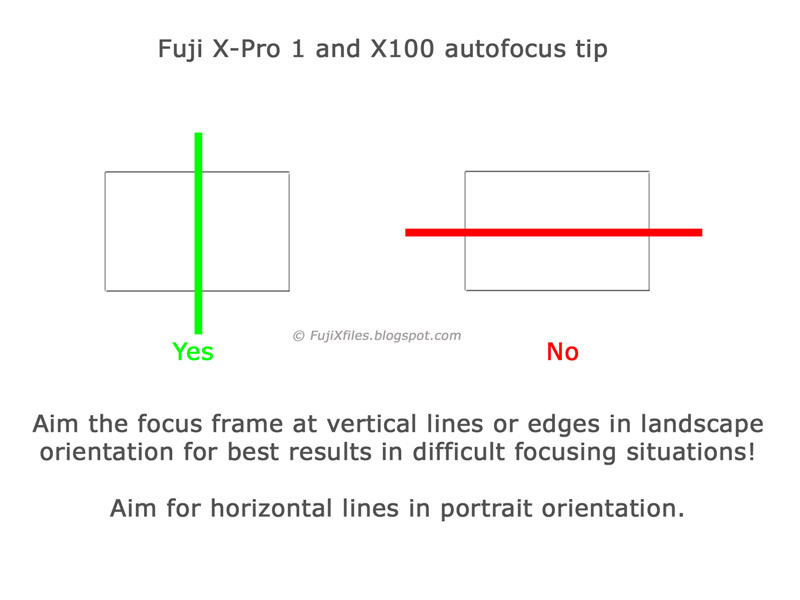 Thanks for taking the time to post such a detailed explanation of the focus aspects of the X Pro 1. Usually I also press the AF button again after selecting focus point. Now only need two buttons. Havent really tried it but good knowledege indeed. Thanks for the great tips how to deal with the camera. I think that your statement about accurate phase detection focus may vary as it used to be pretty accurate on my Nikon d7000. However the x-pro 1 seems to be fast and accurate since your tips really work well. Also I'm not missing theface detection, it starts to loose it's effect as soon as your in a crowd of faces and the camera misfocuses because it simply lacks human brains. The only thing that strikes me is that infrared focus systems like on the konica hexar af became so unpopular these days. I've never missed my shot with that camera as it focussed without directly without pumping and in very very dark situations. This probably my the first very useful review I have ever found for my Fujifilm X-Pro 1, specially the AF thing.. Thank you very much Sir! My X100LE is slow from pressing shutter button to taking picture. This is in both manual and ad-s modes I tried. I prefocus and then looks like that extra time is needed to set exposure. Do you have the same observation? No I don't. Have you checked if all of your energy saving modes are turned off in the menu? And did you install the latest firmware? Would you buy the X E1 or the X-Pro 1 today if you had it to do over again? Thanks for the great information on this site. My full frame DSLR has been sitting at home for more than 90% of the time since I have the Fuji X camera(s)! Thank you so much for sharing this knowledge. I just bought a X-E1, from the Olympus switched to X-E1, focusing was a challenge. By the way, like your photos on your blog, and found you on Flickr as well. Thank you again!!! Would you be kind enough to point me to some info on the X-E1's AF-C function? How does that work? I heard different versions of how it works: 1) it keeps focusing at all times, and then it locks (just like AF-S) at half-shutter press, but starts refocusing when the shutter is then half-released (but it didn't work like it for me when I tried it at the shop)? 2) in Continuous Drive mode, it focuses on the first shot in the series only? 3) it somehow works better than AF-S in low light? I basically don't understand the difference between AF-C and AF-S as implemented in X-E1. Using back button focus on my Canons, I have learned to appreciate face detection and focus from the Sony RX100. I would like to have it on every camera, because most of the time the face has to be sharp. And can be turned off if necessary.